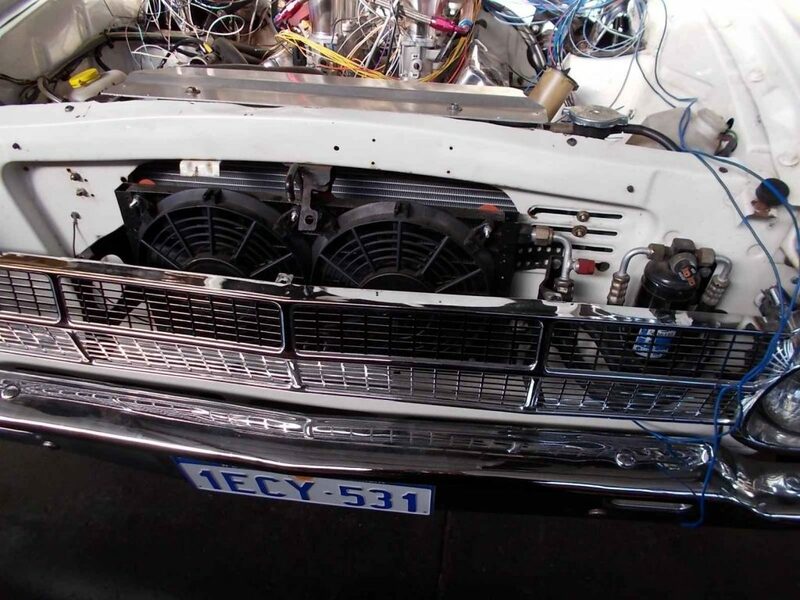 This vehicle came to RPW having previously been running with the EF Falcon V8 conversion on a Stock EF Falcon ECU. 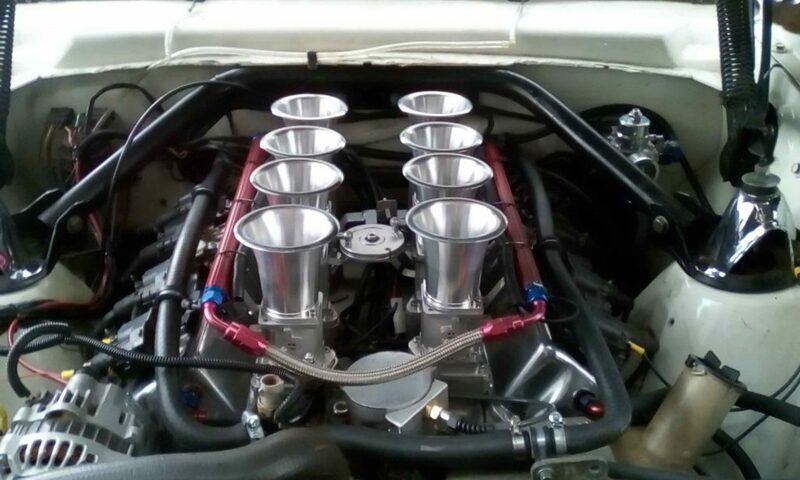 The engine had been refreshed, and fitted with some very nice individual throttle bodies. 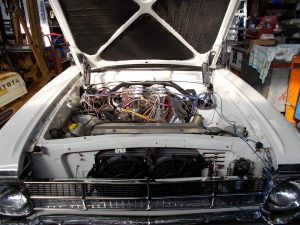 Our plan was to significantly upgrade the vehicle and completely rewire it with the Haltech Elite 2500 ECU and work from there. 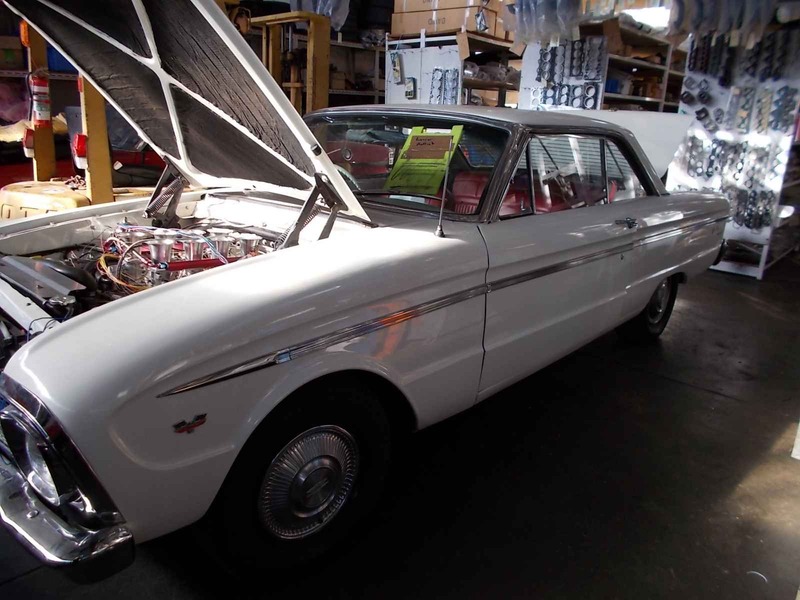 We removed all of the original EL Falcon harness and fed the new harness through the vehicle. 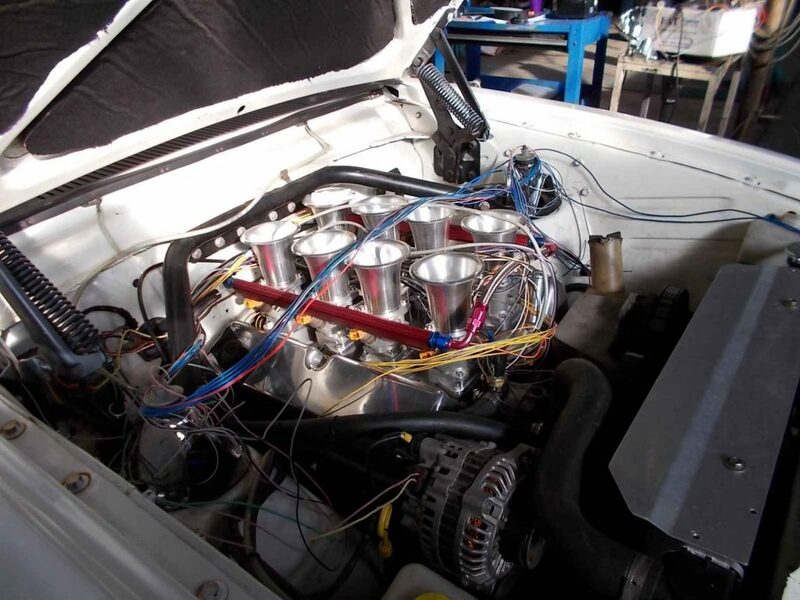 Once the distributor was disassembled, and fitted with a Haltech S3 Hall effect sensor the full sequential injection and ignition system could be completed. 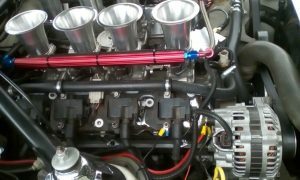 The ignition system was upgraded with (Shock Horror) Holden LS1 ignition coil brackets and coils, with custom ignition leads made. This neatened up the engine bay tremendously and enabled the distributor to become solely a crank / cam angle sensor. 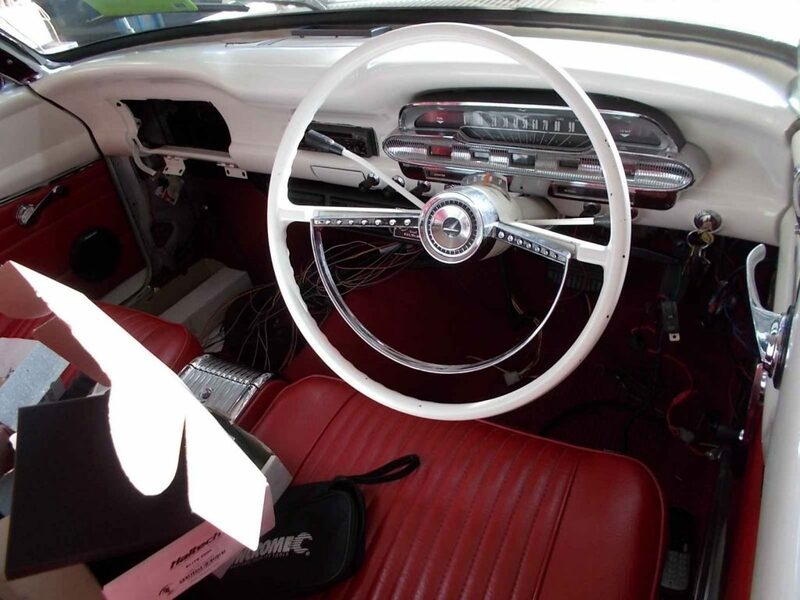 Duel knock sensors and wide band sensors were setup to allow full individual bank trimming on fuel, ignition and knock sensor control. The vehicle had additional outputs setup to feed into the wiring for the Auto Transmission including road speed and throttle loads. 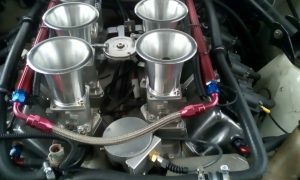 With the stock EL Falcon Auto Transmission ECU unable to cope with the individual throttle bodies, the decision was made to install a programmable ECU for the transmission, something best left to a specialist in that field. The vehicle was run up briefly to check idling, thermo fan operations and other minor functions including air conditioning control etc. From there the vehicle was taken away to have some oil leaks and other mechanical issues resolved before being taken to another firm to have it dyno tuned as the combination of hi stall converter and high powered V8 was not compatible with our dyno for solid tuning. It was better tuned by a firm more experienced in tuning auto transmission vehicles on a roller dyno. The car was an amazing one to look at and significant effort was made to keep a very neat and tidy layout of wiring in the engine bay.